Home to the National, HTB, and HoMade brands, Jamaica has produced a business environment that reflects a history of gritty and defiant entrepreneurship. National Baking Company emerged from the resolve of a businessman operating out of a small bakery in St. Elizabeth. The history of the evolution of National Baking Company shows a level of business intellect often associated with major players on the world stage. National Baking Company’s aggressive growth and success in the 1950s meant other companies found it difficult to compete. Whether through acquisitions or sheer market dominance, National soon became the market leader — just as quickly and easily becoming a household name. Although National has dominated the field for many years, there are still many competitors, particularly from the Caribbean region. Our focus on quality and consistency keeps customers coming back. National also has the advantage of generational support. It is heart-warming to know that there are adults today who will instinctively reach for our brands because that’s what they saw in their homes — that’s what their parents and maybe even grandparents bought. That kind of brand loyalty is a manufacturer’s dream and one we do not take for granted. National Baking Company has also endured because of our approach to corporate responsibility. We don’t look at it as something that must be done, but rather, something we wholeheartedly want to do. Our strong community presence and clear desire to contribute to the betterment of Jamaica has endeared us to the Jamaican community and resulted in strong support for our business. That is why, even in difficult economic times, we still managed to maintain a level of patronage that has kept us going. Over the years, we have produced many favourites, especially our HTB and other Jamaican Easter buns. Our “Penny” buns have also done extremely well over the years. Our products have been such a staple in Jamaican homes that you find the tradition continues even for those who have migrated overseas. Whether for breakfast, lunch, or dinner, you will find a National product that you can incorporate as a part of a satisfying meal. 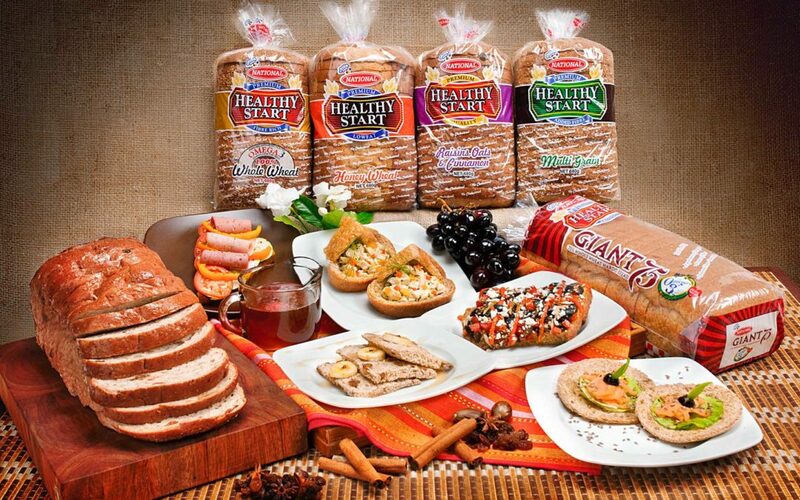 How about some hearty Jamaican bread Jamaica and the Caribbean region have come to love? Jamaicans likely have the most interesting sandwich combinations ever. You might hear that you’re not Jamaican if you haven’t had National Hardo bread with pear (avocado), porridge, jerk pork, or fried fish. What about Hardo bread with condensed milk? The list goes on. Look at our social media pages. You will see our customers willingly and on a regular basis, share how and when they use our products. This not only motivates us, but it also often gives us ideas for new products or how to use these products. Our snacks, too, have been very well-received. Children and adults enjoy our banana chips, Voltz cheese snacks, Duplex cookies, Cream Crackers and so many more. Not to mention those, like our ginger biscuits, that Jamaicans will tell you are good when you have a ‘belly ache’ or upset stomach. We love that our customers interact and share with us. Whether via social media or during community events in Jamaica and overseas, they don’t hesitate to give their opinions about our company and products. We are happy for those opportunities to learn where we are doing well and how we can improve. Jamaicans have been instrumental in spreading the love for our products. Thanks to Jamaicans and other fans of our products, we are well-received throughout the Caribbean, Canada, the United States, and the UK. The endorsement of the Jamaican community has certainly inspired us to keep aiming for bigger and better. It has been 64 glorious years, and the spirit and support of the Jamaican people will keep us building on the company’s legacy of determination and excellence. And this fourth-generation, family-owned business is truly thankful to Jamaicans everywhere who have made National the choice in their homes for generations.